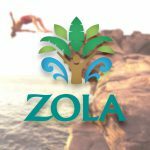 Earlier this year, Zola announced “Zola 2.0,” which featured new ownership and a plan for to restage both its packaging and a broader line of products. 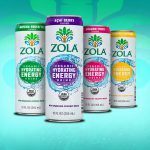 The recently announced Zola Hydrating Energy line is the company’s first new offering since this announcement. 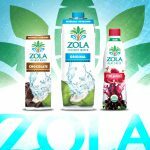 As the first shipments of Zola’s new “2.0” packaging roll out to stores, the coconut water and acai beverage maker has launched a new energy drink line as part of a move toward a more comprehensive brand hierarchy. Last year when KarpReilly purchased Zola, the new owners began rigorous rebranding project that became known internally as “Zola 2.0." With a new team, new packaging, and new innovation, the coconut water and acai juice company is ready to reveal the first stage of its makeover at the 2017 Natural Products Expo West.